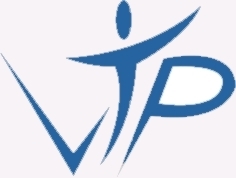 VIP software is a powerful yet easy to operate modular asset management system with the ability to manage your assets from initial purchase through to final disposal. The Stock Module (which like all other optional modules links into the Core Module) is featured on this page. The VIP Stock Control Module allows users to track stock as well as allowing the user to know where stock is located and the quantity, this module will also keep track of how, when and what quantity of stock is used for what purposes. The module allows the user to maintain optimum stock levels (not too high not too low) as well as a complete history of pricing changes. Above: VIP offer the latest handheld barcode readers from Symbol for use with the Stock module. Their touch screen control and graphical user interface makes them very user friendly, allowing you to audit your stock quickly and with complete ease. Click to enlarge. VIP offers handheld barcode scanners running the highly popular Palm operating system. This has allowed us to develop the incredibly user-friendly, graphical program enabling your staff to audit stock quantities at any given location quickly, efficiently and with complete ease. Standard location descriptions can be downloaded to the Palm for selection as "picklists" when capturing or auditing data - ensuring consistency of data gathered and eliminating potential sources of error. The THe software is also used for barcode asset auditing, so it is possible for one person to audit both assets and stock at a given location in the one single process. 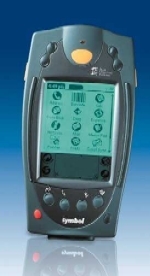 Above: Sample screen from the Palm based barcode scanner. Click to enlarge. Fully integrated with other VIP modules! The user can indicate which Stock items are to be automatically reordered when a certain reorder point is reached - a Purchase Order will automatically be produced ready for approval. In the actions area of each work order record the user can specify the stock item and quantity used to solve the particular problem, with the appropriate quantity of units being deducted from stock on hand. A full audit trail is maintained in VIP for all types of stock transactions, from initial purchase order to final consumption. This is almost impossible to achieve with a mix of systems from different vendors. Above: VIP ’s Help Desk and Maintenance Modules allow the user to record usage of parts from stock in repair or maintenance actions, with usage faithfully recorded for automatic reorder able to be triggered as supplies run low. Above: New purchases of stock may be handled using the VIP Purchasing Module, providing the user with all the benefits of that module including comprehensive budgeting, invoicing and delivery recording capabilities. Click to enlarge. Why are we a "Virtual IT Partner"